Today we will discuss a very interesting but simple way of controlling weed problems in your garden. It is called the Solarization process. We have used the term in our earlier article Weed controlling in organic ways. Here we will give some details about what is solarization and how to do solarization in your garden; so that you can try out in your garden. 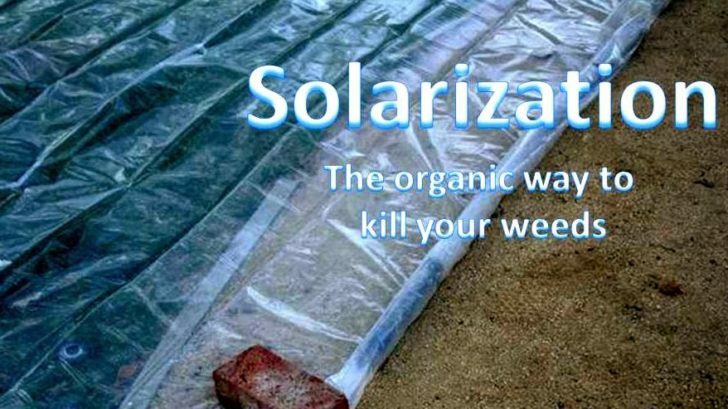 In very simple terms, solarization means using the heat from the sun to kill the weed in your garden. In this method the gardening area is covered with clear polyethylene then it is exposed to the full hot sun so that the light and heat can reach to the ground and cook the weed seeds which remained hidden inside the soil. Why do I need Soil Solarization? Most people are unaware of this method and normally prefer other techniques in weed controlling. But there are some definite benefits which you get once you have decided to go for solarization. There are so many weed seeds that are beneath the soil surface and are very hard to find. Though people put a thick layer of mulch to kill them, if the weed seeds are very vigorous, they can come on top of the mulch back to the light. Sometimes landscape fabrics are spread over the garden and then in some places, holes are punched to plant new plants. This process is not full proof and can be infected by weeds. Though there is little bit hard work involved, solarization is by far the best way to kill the entire weeds in a given area. And once completed, your garden will be the best place for your new plants to live. This method is entirely organic. There is no herbicide or other pesticides involved. You are putting nature’s energy to a better use. Although it is primarily meant to kill weeds, solarization will also reduce the nematodes, soil insects, and other soil-borne diseases. The best time for practicing this is when the sun is at its full power i.e. in the summers. First, choose the area which you want to solarize. Try to choose the area where there is very little shade available, the main purpose of the solarization will be hampered if the sun is blocked. Now once the area is fixed, remove the existing weeds by tilling the land with a tiller. Till up to 6 inches depth. Please remove any sharp object which can poke holes in the polyethylene from this tilled area. Next thing you need to do is to put some water in that area and make the soil moist. 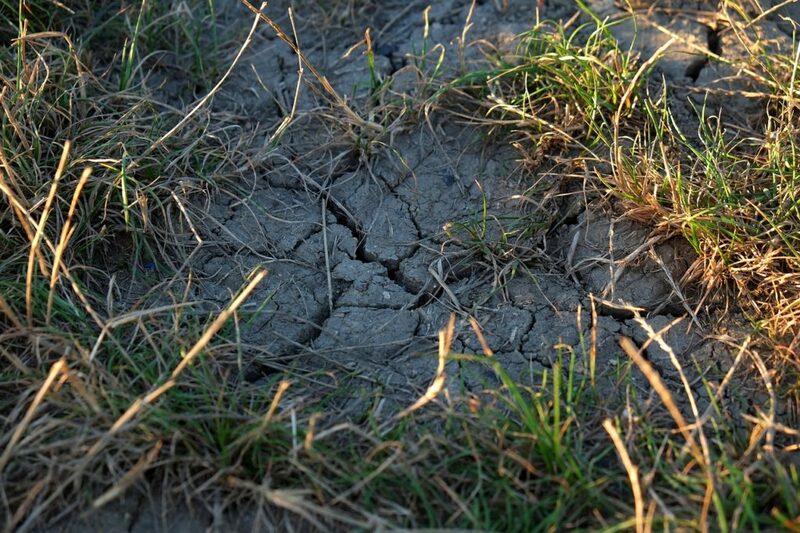 Don’t add too much water so that the soil becomes waterlogged. Water is a very important element in solarization process. It helps in heat conduction. Avoiding water will not give you your desired result. Cover the area with a clear polyethylene sheet. Don’t use any colored sheet as it will stop the sunlight to reach the soil. Stretch the polyethylene tightly and seal it completely. Sealing will help the heat to remain in the desired area and cook the weed seeds, insects, nematodes that can harm your plants. Keep the land in this way for at least 2 months. After that, remove the polyethylene. Now the area has been solarized and the weeds, pests, nematodes all have been killed. This will remain weed free for 3 to 4 months. You can plant your desired plant now and enjoy it weed free. Don’t plant before removing the entire polyethylene because the heat can kill the plant. So now you know what is solarization and how it will benefit your garden. If you like the article, share it with your friends. So with the solarization complete and the tarps pulled off, we were ready to get the fall garden ready. It’s crazy to think that in July we’re thinking about frost dates and cold weather crops but it’ll be here before you know it! Hand weeding is one of the basic ways of controlling weeds organically in your garden. With weeds like the Greater Celandine Chelidonium majus that do not have deep roots or seeds to worry about, they can be placed in the compost heap to add organic matter for the compost heap. For different weeds in other places there are organic techniques for keeping them firmly under control.